Pro Comp K3098BFR 6″ Dual Sport Long Arm Suspension Lift Kit With Fox Reservoir Shocks. Pro Comp K3067 4″ Suspension Lift Kit with ES3000 Shocks. 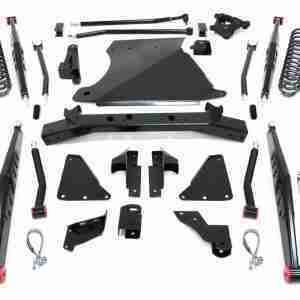 Pro Comp K5064 2.5″ Suspension Lift Kit with ES3000 Shocks.